Tour the areas where scenes from the recent Star Wars movies were shot with daily ride outs along the Wild Atlantic Way. See the iconic Skellig Islands as they soar from the Atlantic Ocean and tour exquisite coastal scenery with stunning panoramas around every bend. These Wild Atlantic Way Ride Outs depart from the Bike Village at the Gleneagle Hotel at 2 pm and 3 pm on Friday, June 1st and at 10 am and 10.30 am on Saturday, June 2nd. Win a Harley-Davidson Street® 750! Harley Davidson celebrates its 115th birthday this year, and to celebrate it’s giving away a Harley Davidson Street® 750 in aid of Muscular Dystrophy Ireland. The funds raised by the draw will be used to finance the respite support services Muscular Dystrophy Ireland delivers to 752 members nationwide. To enter, simply email info@mdi.ie or phone MDI at (01) 6236414. Tickets cost €5 each, with a book of 5 costing €25. On Sunday 3rd of June 2018, bikers and scooter riders across the world will participate in Ride Sunday for fun and a good cause. 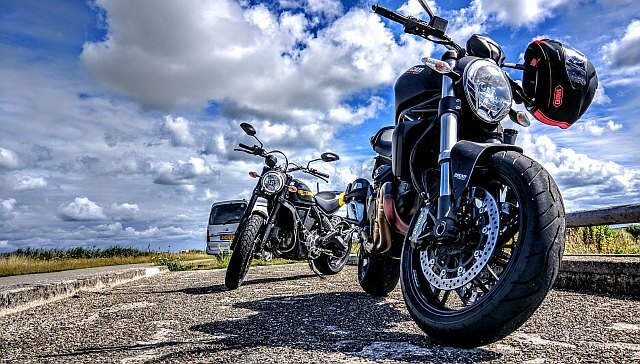 Backed by Harley-Davidson® Motorcycles, REV’IT!, Triumph Motorcycles, and Royal Enfield, the ride is intended to unite the motorcycling community worldwide. Whatever you ride, you are encouraged to get on it and make your way to the Bike Village for 9 am. Ride Sunday will depart at 11 am. See Ride Sunday for more details. Even if you have no interest in ever getting up on two wheels, you’ll find lots to entertain you at the Bike Village this bank holiday weekend. From novelty dog shows to an endless line-up of free, live music on three stages (The Irish Rolling Stones, Hells Bells, and the Harleys, to name but a few), there is something for everybody at the Ireland BikeFest this June.